Yesterday saw the opening of the 2016 Invictus Games in Orlando Florida. Following the success of the inaugural Invictus Games in London in 2014, this year’s event is expected to be just as thrilling and inspiring. The Games were created by Prince Harry after he attended the US Warrior Games and was inspired to bring a similar concept to the UK. “Invictus” is derived from the Latin for “unconquered” or “undefeated” and as such, wounded, injured or sick armed services personnel and their associated veterans compete in a variety of sports including wheelchair rugby, indoor rowing and sitting volleyball. The Invictus Games 2016 will see 500 competitors from 15 nations compete in 10 sports from 8 – 12 May. 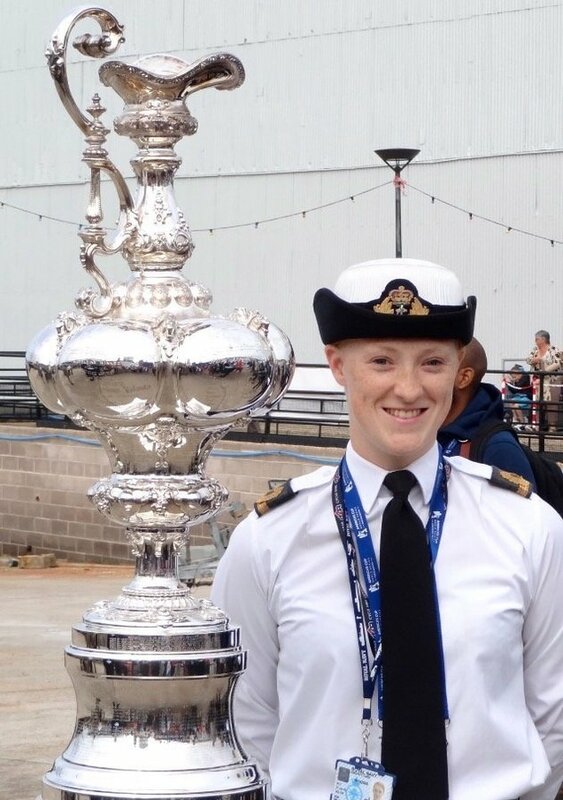 Zoe Williams is a former Naval Officer who will be joining the British team in Orlando and competing in both the swimming and indoor rowing events. We spoke to Zoe on the same day she breezed through to the swimming finals having placed in the top three for all of her heats. Tell us a little bit about your sporting background. As a child I was a synchronised swimmer, and at the age of 17 represented Great Britain at the Junior European Championships. Once in the Royal Navy I swam for the Royal Navy at numerous Inter Service Championships (against the Army and RAF). What was your role in the Royal Navy? I joined the Royal Navy as a Warfare Officer; responsible for the safe navigation and operation of the ship, on behalf of the captain, at sea. I spent time on ships from small mine hunters and patrol vessels in the North Sea, to HMS BULWARK an amphibious assault ship, working with Royal Marines. Because of my back injury I was unable to continue as a Warfare Officer, and as a result I was medically discharged. How has your chronic back injury affected you? Being injured took me a long time to get back into competitive sport. But since I’ve started training and competing again it’s given me a focus, outside of the unknown future career wise. Why did you decide to get involved in the Invictus Games? I saw some friends competing in the Invictus Games in London in 2014 and it really inspired me to want to be involved. When the opportunity came up to trial for the UK Armed Forces team for Orlando, I couldn’t turn it down. Why do you think the Invictus Games are important? The Invictus Games are important as sport is such a good way for people to regain their confidence. Being able to achieve things in training and competition, that you never thought you’d be able to achieve, gives you the confidence to transfer to other aspects of your life. How are you feeling about competing? I’m feeling really excited. I’m sure come race day the nerves will kick in. But you just have to focus on your own race, believe in yourself, and trust that the training you’ve put in will stand you in good stead. Have you been able to meet Prince Harry? I haven’t really spoken to him but he is really friendly and always up for a laugh! What’s next for you after the Invictus Games? I’m still trying to work out what my next challenge will be, but I’ve met so many inspiring people that I’m sure it won’t be long before I’m involved in something. Make sure you tune into the BBC’s coverage of the Invictus Games 2016 starting tonight (09.05.2016) at 7:30pm on BBC One. Zoe will be competing in the rowing finals today and the swimming finals on Wednesday – we wish her the best of luck!